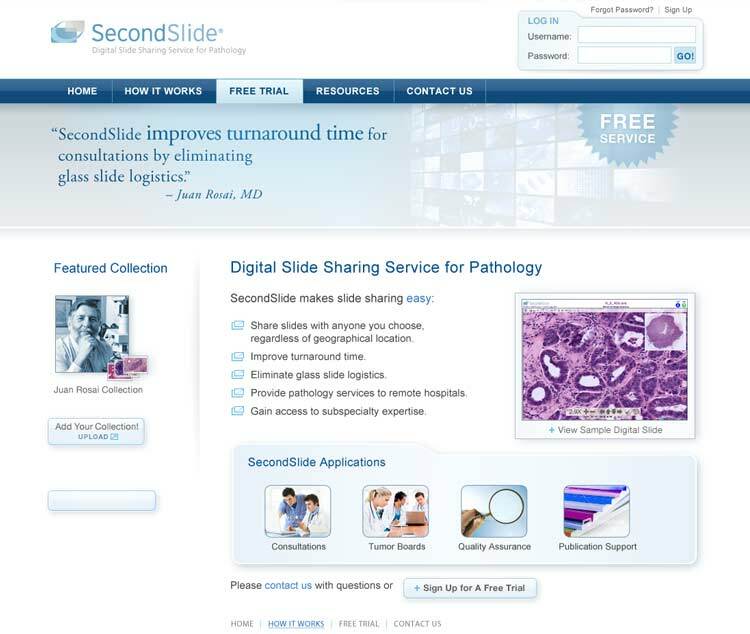 The Challenge: Online digital pathology viewing portal SecondSlide was a free service from Aperio Technologies allowing doctors to view ultra-high resolution scanned images of tissue slides. 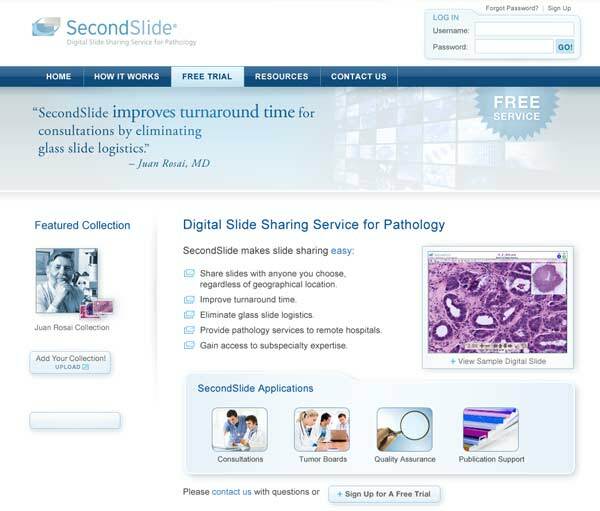 A microsite was needed to help communicate the benefits of adopting their cutting-edge technology, and to allow SecondSlide customers to log in. 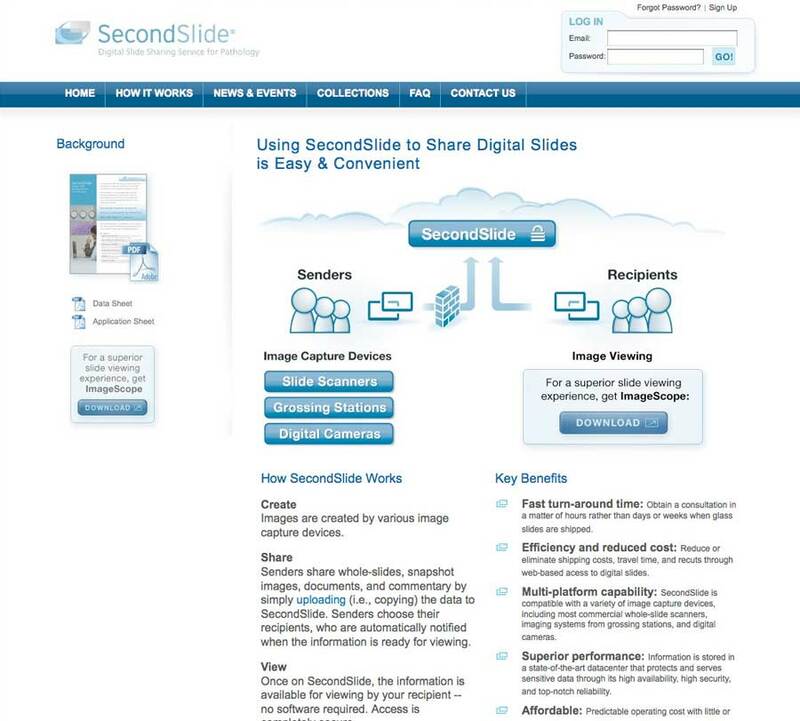 The Solution: Evolution Design provided custom website design, diagrams, and HTML code for all pages. The cursor focus was placed in the Username field to assist frequent users in logging back in easily.